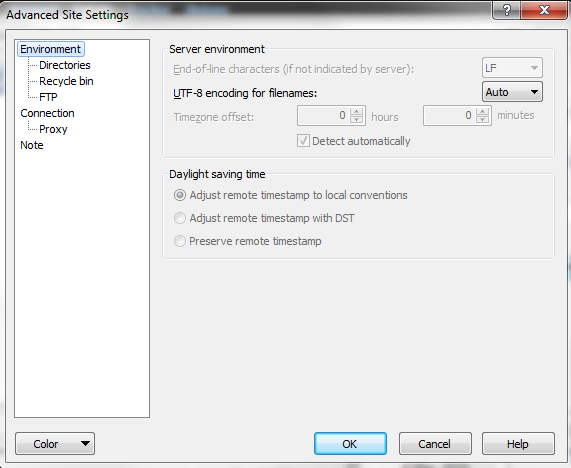 So are you asking about DST (as per subject) or time-zone offset (as per text)? It documents when the options are available. 1. Set MSLD to "off"
Or not fixed =x What happens is it works on the very first change, uploads the new file, but when it appears on the server the timestamp is blank. Not just wrong, but blank. Then it stops uploading automatically. If I manually click an upload through, the timestamp reappears. Can you attach a log file showing directory listing with default settings (MLSD on/auto)? Mention what timestamp WinSCP shows for a certain file and what timestamp do you expect and why.